Sniper Elite 4 is out this week on Xbox One, PlayStation 4 and PC. Fans of the series return to World War 2 as a agent Karl Fairburne across a campaign set against the backdrop of Italy. In the game's online co-op mode, a friend will be brought to your side as your spotter, body guard, distractor and more as you take down the evil Nazi empire in vicious x-ray bullet time. Here's the launch trailer giving you the skinny. After February 14th, new free content will be made available for everyone in the coming months with new maps and modes made available. But there's also premium DLC coming with the inevitable "Season Pass" on the docket for $34.99. 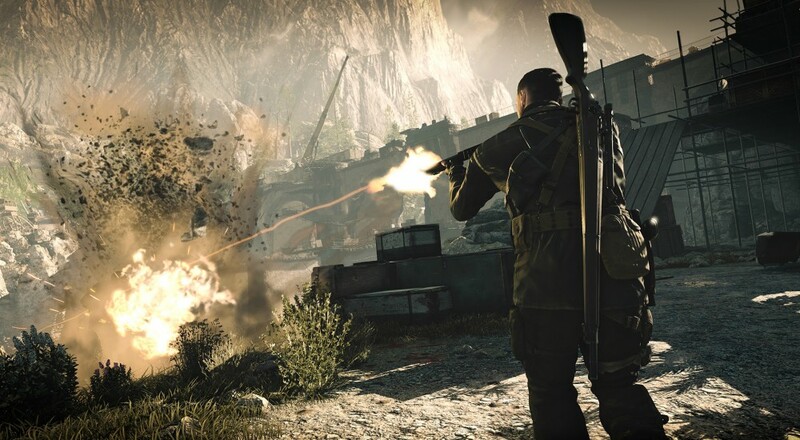 Rebellion today also revealed that the SNIPER ELITE 4 Season Pass will give players access to ALL 12 of the game's post-launch content packs, including 4 full campaign missions for 1-2 players! Target: Führer campaign mission – Infiltrate a secret Mediterranean U-boat facility and use wits and creativity to take out the target in over 30 ways. Camouflage Rifle Skin Pack – Blend into the lush environments of wartime Italy with highly detailed skins for all seven of the game’s starting rifles, for use in any mode. A completely new three-chapter campaign, separate from the main storyline, which features massive, diverse new environments that eventually lead Karl out of Italy for a thrilling finale..
Each expansion pack will be released alongside a campaign mission, and they’ll each include 3 new weapons, 8 new weapon skins and 2 new characters. Three new characters for use in both co-op and multiplayer. The most enticing content seems to be new campaign missions with new characters to use in both single player and co-op. You can still pre-order the game at Amazon and get access to the first piece of content free, plus save $13 bucks if you are a Prime member. Page created in 0.2539 seconds.